Dr. Howard Pressman, Post 105 Quartermaster Lance Wang, and Alexa Goldenberg. 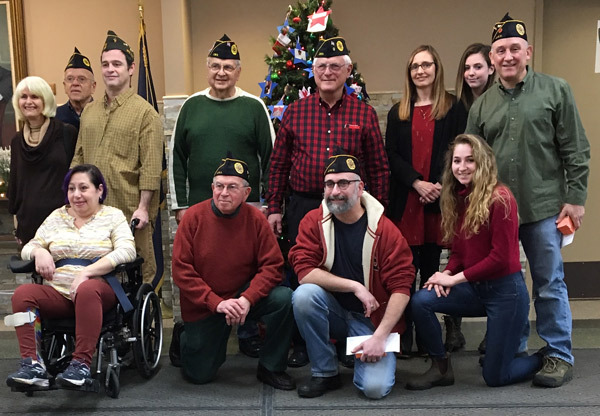 ALBANY–Volunteers from the Jewish War Veterans (JWV) conducted Operation Jingle Bells here at the Stratton VA Medical Center on Christmas Eve, visiting with patients and staff who could not be with family for the holiday. A dozen volunteers from Albany Post 105 and Schenectady Post 106 were led by former Post 105 Commander Dr. Howard Pressman, who coordinated the visit with hospital staff. 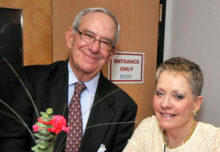 Pressman has led the Jingle Bells group for more than 10 years. 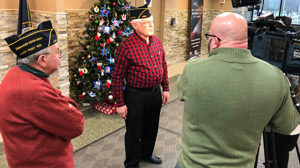 Pressman explained that the event began decades ago when the JWV would visit with patients to distribute phone cards so that the veterans could make long-distance calls to family during the holiday. The widespread use of cell phones made the holiday distribution of phone cards unnecessary more than 15 years ago. Today, JWV distributes coupons for patient use at the hospital canteen or exchange, where veterans can purchase snacks or sundries. “With a cell phone at every bedside now, it’s important that JWV continue to show our care and support for veterans, and the canteen books give just that to each patient,” Pressman said. Pressman worked at the VA as chief of the oral surgery section for 36 years and continues to meet with nursing staff to identify how many patients will still be admitted for the Christmas holiday. Pressman looks on. Photo courtesy of Post 105 Quartermaster Lance Wang. The JWV volunteers visited the wards, thanking staff for their support and care of the hospital patients and shared holiday wishes and shared stories with the variety of veterans at the hospital for holiday. 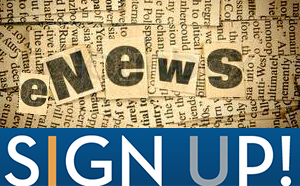 Individuals interested in the JWV and Operation Jingle Bells may contact Fred Altman of Post 105 in Albany at 518-690-2828 or Paul Zonderman of Post 106 in Schenectady at 518-370-4909.